New Delhi: Cricket Australia's (CA) apparel manufacturer ASICS unveiled Australia's World Cup jersey on Tuesday.The uniform is predominantly yellow, with a lime green collar, while a thin green stripe runs down the sides of the pants. The kit colour scheme is not dissimilar to the retro uniforms worn by the Aussies in this year's One Day International (ODI) series against India on home soil. In this English summer, Australia will once again wear the retro uniforms, after a fan-voted competition led to the 1999 World Cup kit being selected, ahead of seven other uniforms. Defending champion Australia will start their quadrennial Cup campaign in Bristol against Afghanistan on June 1. 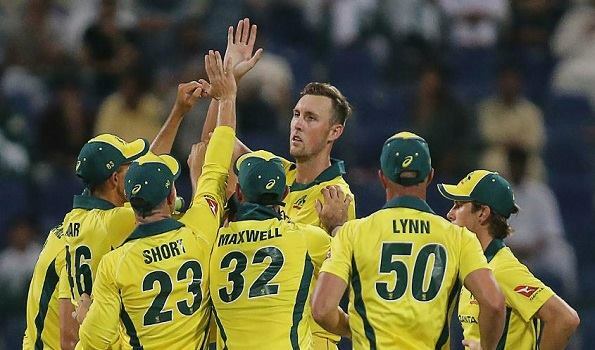 Australia is riding high, as they have won two back-to-back away ODI series against India and Pakistan. They defeated India by 3-2, followed by a 5-0 win against Pakistan.